University of Queensland researchers have discovered that non-invasive scanning ultrasound (SUS) technology* can be used to treat Alzheimer’s disease in mice and restore memory by breaking apart the neurotoxic Amyloid-β (Aβ) peptide plaques that result in memory loss and cognitive decline. The method can temporarily open the blood-brain barrier (BBB), activating microglial cells that digest and remove the amyloid plaques that destroy brain synapses. Treated AD mice displayed improved performance on three memory tasks: the Y-maze, the novel object recognition test, and the active place avoidance task. The next step is to scale the research in higher animal models ahead of human clinical trials, which are at least two years away. In their paper in the journal Science Translational Medicine, the researchers note possible hurdles. For example, the human brain is much larger, and it’s also thicker than that of a mouse, which may require stronger energy that could cause tissue damage. And it will be necessary to avoid excessive immune activation. The researchers also plan to see whether this method clears toxic protein aggregates in other neurodegenerative diseases and restores executive functions, including decision-making and motor control. It could also be used as a vehicle for drug or gene delivery, since the BBB remains the major obstacle for the uptake by brain tissue of therapeutic agents. Previous research in treating Alzheimer’s with ultrasound used magnetic resonance imaging (MRI) to focus the ultrasonic energy to open the BBB for more effective delivery of drugs to the brain. Neuroprosthetics is a relatively new discipline at the boundaries of neuroscience and biomedical engineering, which aims at developing implantable devices to restore neural function. The most popular and clinically successfull neuroprosthesis to date is the cochlear implant, a device that can restore hearing by stimulating directly the human auditory nerve, by bypassing damaged hair cells in the cochlea. Visual prostheses, on the other hand, are still in a preliminary phase of development, although substantial progress has been made in the last few years. 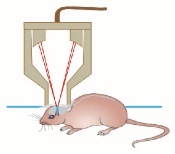 This kind of implantable devices are designed to micro-electrically stimulate nerves in the visual system, based on an image from an external camera. These impulses are then propagated to the visual cortex, which is able to process the information and generate a “pixelated” image. 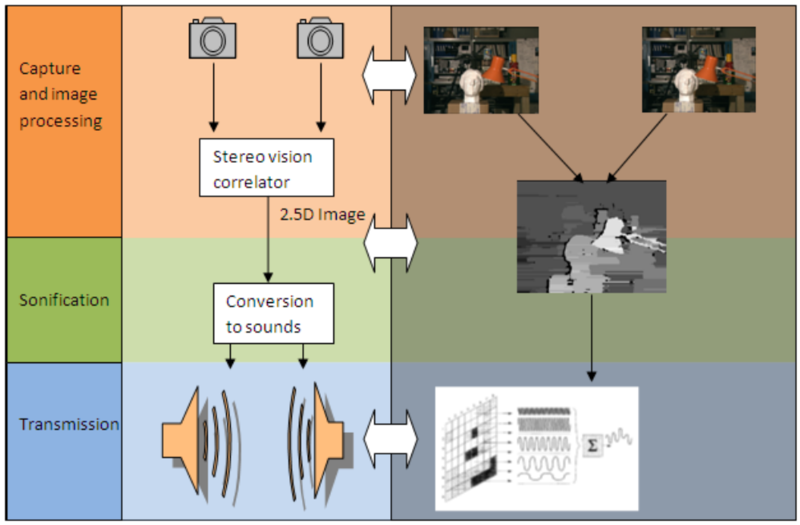 The resulting impression has not the same quality as natural vision but it is still useful for performing basic perceptual and motor tasks, such as identifying an object or navigating a room. An example of this approach is the Boston Retinal Implant Project, a large joint collaborative effort that includes, among others, the Harvard Medical School and MIT. Another area of neuroprosthetics is concerned with the development of implantable devices to help patients with diseases such as spinal cord injury, limb loss, stroke and neuromuscolar disorders improving their ability to interact with their environment and communicate. 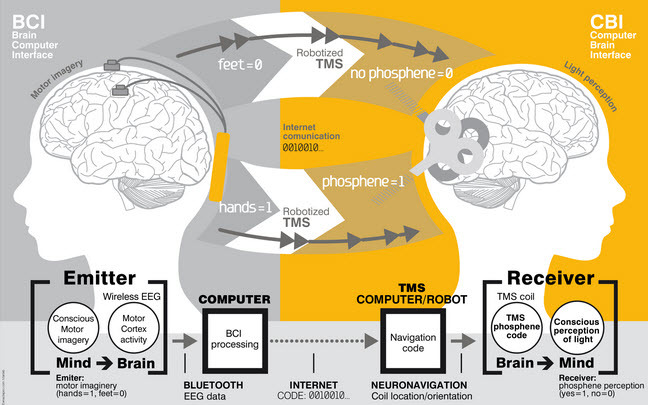 These motor neuroprosthetics are also known as “brain computer interfaces” (BCI), which in essence are devices that decode brain signals representing motor intentions and convert these information into overt device control. This process allows the patient to perform different motor tasks, from writing a text on a virtual keyboard to driving a wheel chair or controlling a prosthetic limb. An impressive evolution of motor neuroprosthetic is the combination of BCI and robotics. For example, Leigh R. Hochberg and coll. 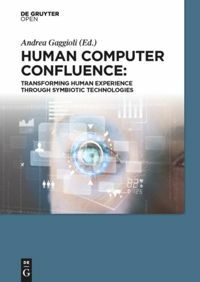 (Nature 485, 372–375; 2012) have reported that using a robotic arm connected to a neural interface called “BrainGate” two people with long-standing paralysis could control the reaching and grasping actions, such as drinking from a bottle. Cognitive neuroprosthetics is a further research direction of neuroprosthetics. A cognitive prosthesis is an implantable device which aims at restoring cognitive function to brain-injured individuals by performing the function of the damaged tissue. One of the world’s most advanced effort in this area is being lead by Theodore Berger, a biomedical engineer and neuroscientist at the University of Southern California in Los Angeles. Berger and his coll. are attempting to develop a microchip-based neural prosthesis for the hippocampus, a region of the brain responsible for long-term memory (IEEE Trans Neural Syst Rehabil Eng 20/2, 198–211; 2012). More specifically, the team is developing a biomimetic model of the hippocampal dynamics, which should serve as a neural prosthesis by allowing a bi-directional communication with other neural tissue that normally provides the inputs and outputs to/from a damaged hippocampal area. MindRDR connects Google Glass with a device to monitor brain activity, allowing users to take pictures and socialise them on Twitter or Facebook. The current version of MindRDR uses commercially available brain monitor Neurosky MindWave Mobile to extract core metrics from the mind. He’s the creator of “Spaun” the world’s largest brain simulation. Can he really make headway into mimicking the human brain? Chris Eliasmith has cognitive flexibility on the brain. How do people manage to walk, chew gum and listen to music all at the same time? What is our brain doing as it switches between these tasks and how do we use the same components in head to do all those different things? These are questions that Chris and his team’s Semantic Pointer Architecture Unified Network (Spaun) are determined to answer. Spaun is currently the world’s largest functional brain simulation, and is unique because it’s the first model that can actually emulate behaviours while also modeling the physiology that underlies them. Chris holds a Canada Research Chair in Theoretical Neuroscience at the University of Waterloo. He is also Director of Waterloo’s Centre for Theoretical Neuroscience, and is jointly appointed in the Philosophy, Systems Design Engineering departments, as well as being cross-appointed to Computer Science. There have been a few attempts at simulating a sense of touch in prosthetic hands, but a recently released video from Case Western Reserve University demonstrates newly developed haptic technology that looks convincingly impressive. Here’s a video of an amputee wearing a prosthetic hand with a sensor on the forefinger, while blindfolded and wearing headphones that block any hearing, pulling stems off of cherries. The first part of the video shows him doing it with the sensor turned off and then when it’s activated.